"Intentional Piecing" focuses on helping quilters in making fabric choices when they are creating a quilt or sewing project. "Amy teaches you to ask the questions she consistently asks herself: What fabric would make the design better? Which design and method would best showcase the fabric? What choices would make the project uniquely yours? 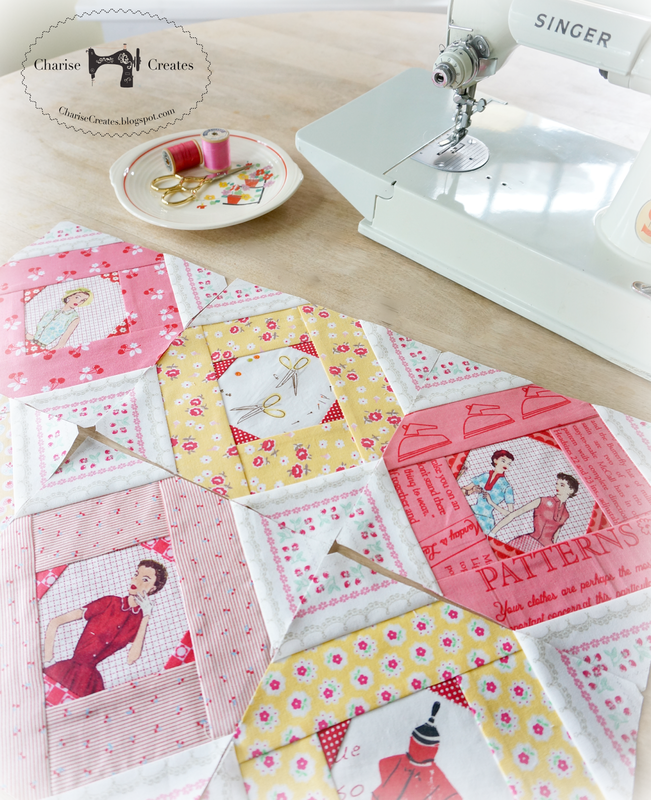 And who doesn't love going through their fabric stash to find that perfect one!" Amy asked her quilting and sewing friends to make a "Tell Me a Story Block". It is a paper pieced block that is designed to frame a favorite fabric image that tells a story. "A girl who has loved to sew since she was little." I couldn't make just one block - there will be more to go with these! 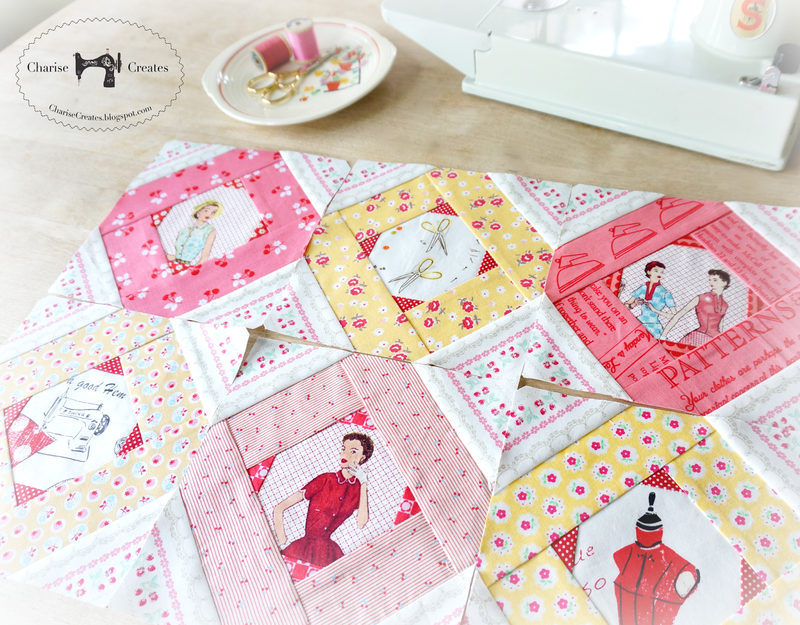 Share a "Tell me a Story" quilt block on Instagram before June 1st, and you will be eligible to win the "fussy cutting" fabric stack from Sew Me a Song shown above! 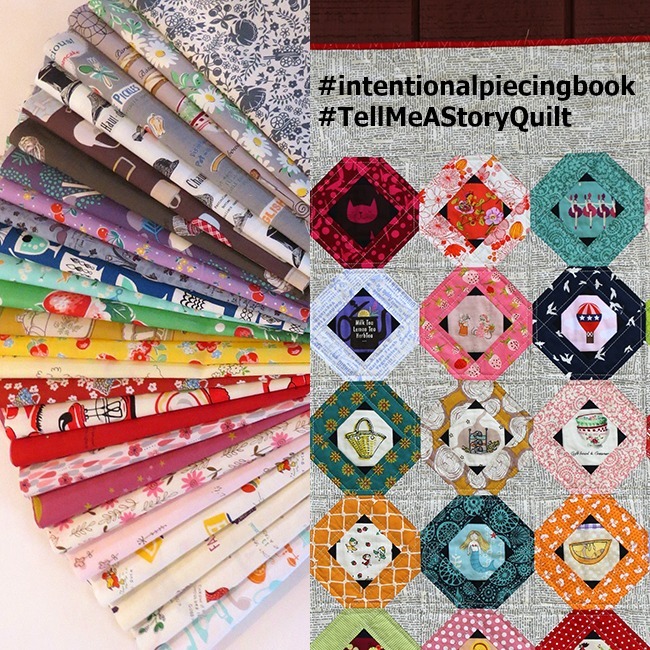 Be sure to tag your picture with the hashtags #TellMeaStoryQuilt and #IntentionalPiecingBook for your chance to win. 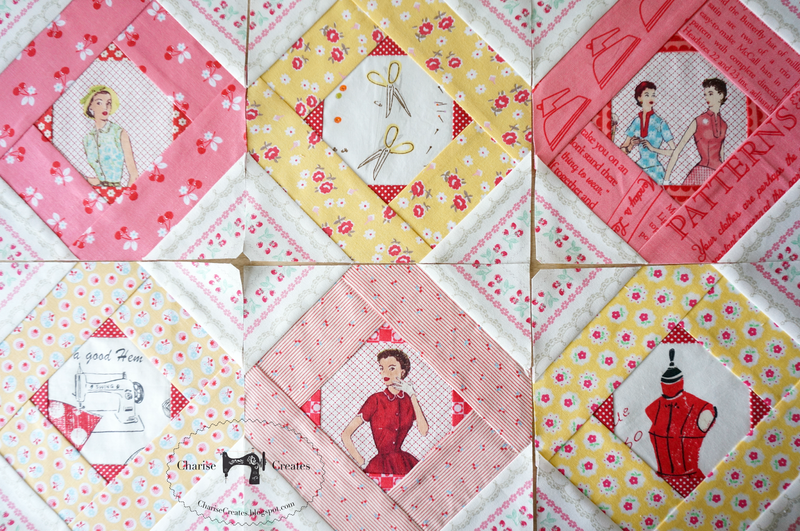 I love Amy's book and this quilt idea is awesome! Your sweet sewing blocks are fantastic to decorate your sewing studio!